Have a question about this addon ? We respond by e-mail within 24 hours. 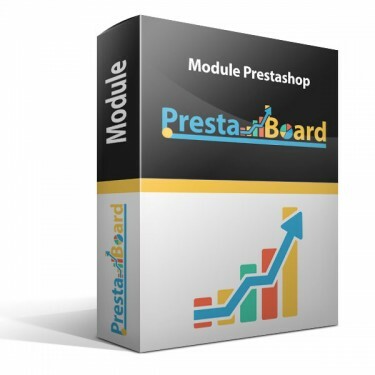 The essential addon for your PrestaShop store ! Our module allows you to analyze your customer data with graphs and charts. Our addon is simple and intuitive, you can understand your data in a single glance ! You can easily export all your data to excel any size versions. We have paid particular attention to how it appears on different screen sizes. Try it on a phone or tablet ! Compare your turnover and profits in one glance over several years ! Export your accounting data in 1 click format Excel spreadsheet ! 1 The main naviguation can quickly choose the display for days, weeks, months, years or date for each menu (Orders, Profits, Customers, Newsletters and Abandoned baskets). 2 Set the "Orders Status" of your shop to display on the charts. You can also assign a color to the graph for each years. 3 Upload your file to the currently displayed page in the Excel format (.CSV, .XLS, XLT, .XLSX, XLTX, XLSM). 5 Drop-down list to select the type of control display (Product Delivery, reducing including or excluding VAT and number of orders). 6 Choose the years to compare. 8 Displays the source (country and cities) of your orders and customer on the map. Click on an image to access the real-time demonstration. You must accept the deposit of cookies to have all our services online. To learn more and manage your cookies, click here .